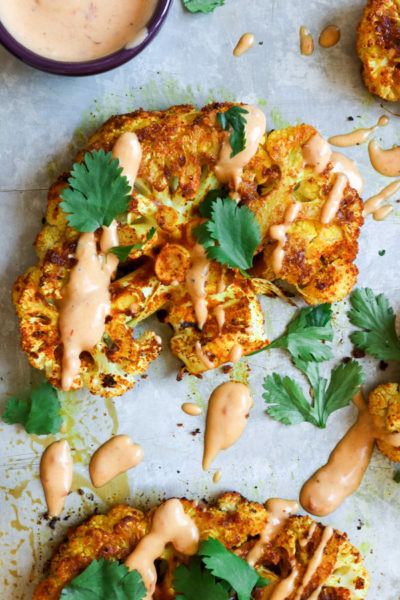 It’s Roasted Shawarma Cauliflower Steaks with Harissa Tahini! Make it your main, make it your side, just make it. I’m embarrassed to call these steaks. But embarrassment usually doesn’t save me from doing things, so here we are. I’ll be the first to admit I eat WAY more meat now that I’m dating my carnivore boyfriend, and I couldn’t be happier (with the boy or the increase in steaks in my life) but sometimes I crave a veggie-filled meal. But I’ll get to these faux steaks in a moment. On a personal note, I can’t believe I have lived in San Francisco for a year now! Crazy. It was definitely the right choice. I moved here for a few reasons. To spend more time with my brother. (Check!) 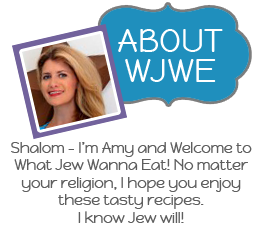 To meet more eligible, smart, Jewish men. (Done!) For a change. Because it just felt right. To quote a good friend of mine, who shouted at a bunch of middle-aged women from our latke lakeside pontoon boat: “Do what feels good”. Hasn’t failed me yet. This past weekend, my boyfriend and I went to visit my brother and his fiance in the burbs. I got the warm and fuzzies seeing everyone so happy and successful! Or maybe that was the feeling from having some of the best hummus in the Bay Area. Not sure. Now, back to cauliflower. 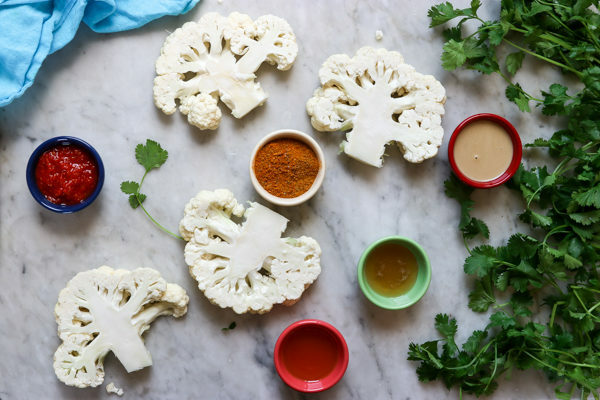 I’ll also be the first to admit I used two cauliflowers to get the perfect steak shapes, but this recipe would taste just as good with flower shaped pieces. Sure would. 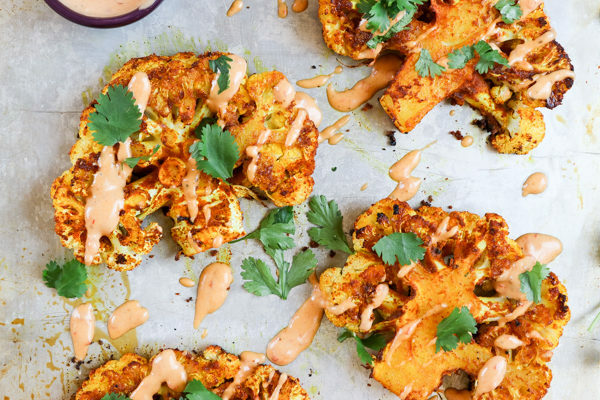 The shawarma spices give it almost a meaty flavor (ALMOST) and the spicy harissa tahini sauce is the perfect dipping sauce for everything. 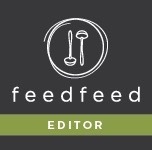 I garnished with just cilantro, but sliced almonds, currants, or mint would be nice too! 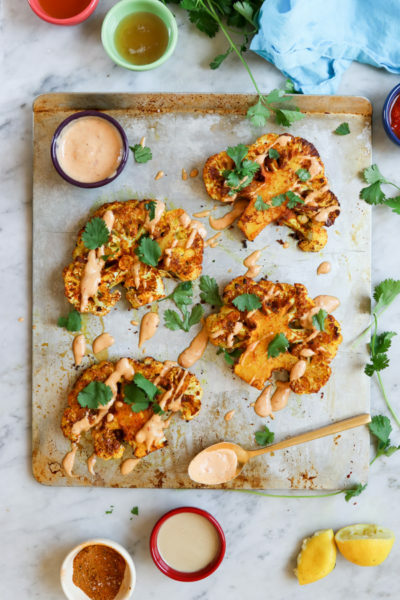 It's Roasted Shawarma Cauliflower Steaks with Harissa Tahini! Make it your main, make it your side, just make it. 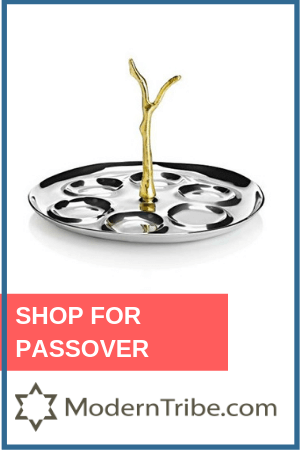 Preheat the oven to 425 degrees F. Prep a foil or parchment-lined baking sheet. In a medium bowl, mix together all the spices. 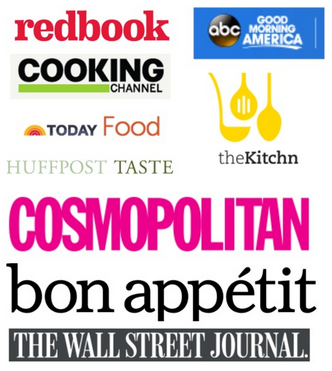 You probably won't need all of this mix, but it's tasty on everything! 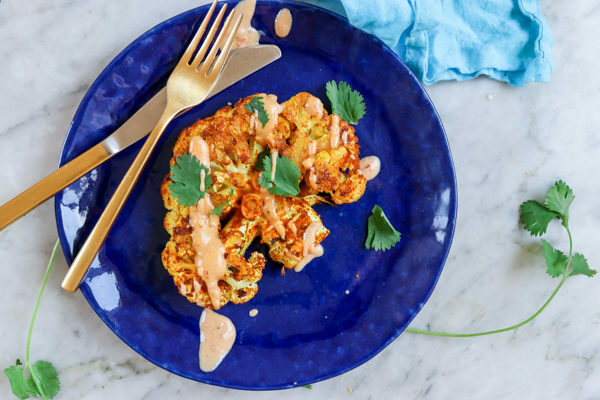 Take the cauliflower steaks, and carefully coat them in olive oil and honey. Then sprinkle on both sides with a nice dose of the spice mixture. Place in a single layer on a foil or parchment-lined baking sheet. Roast the steaks for 15 minutes, then flip and roast for another 10 minutes or until steaks are tender and golden. 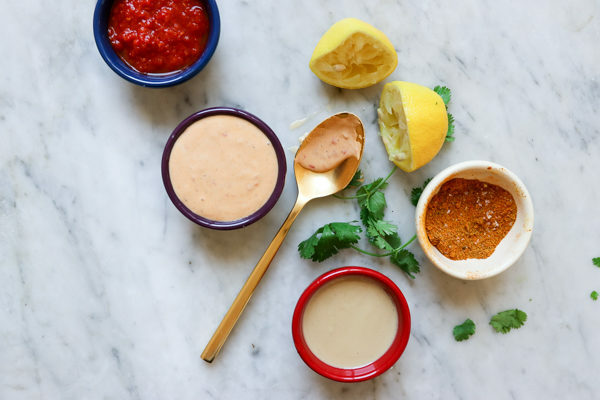 While they are cooking, whisk together your Harissa Tahini Sauce ingredients in a medium bowl or food processor with enough water to make it thick but drizzleble. 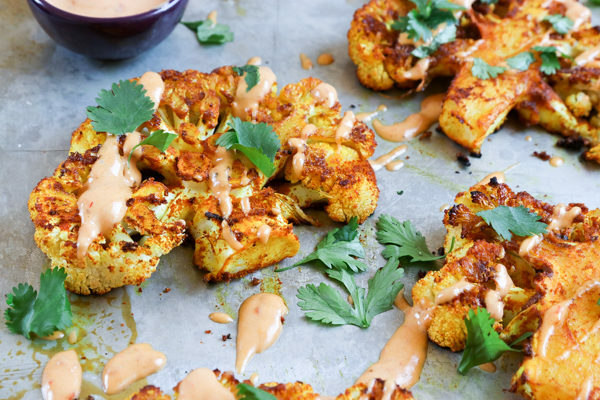 Drizzle over warm cauliflower, garnish and eat! I made this tonight after a very rough day at work and it was a delicious way to show myself some self care. Thank you! 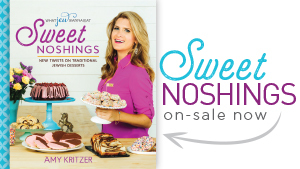 So glad you liked it- you deserve it! !